This is the Third Week of BTNT Weekly Special!! !, Last Week I Published Ravia - a Responsive blogger Theme. 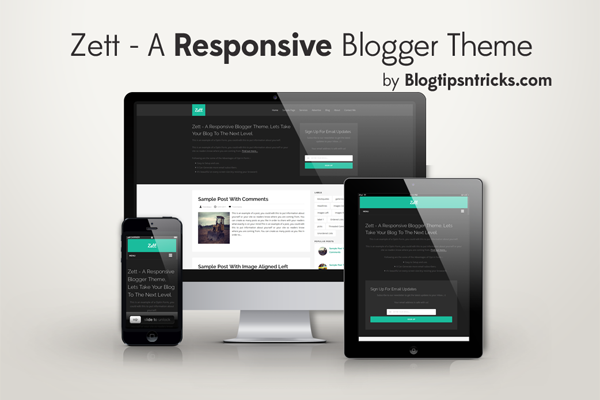 Today, I'm going to Publish a Flat Style Theme, Zett - A Responsive Blogger Template. Zett is a Elegant looking Theme with a Custom Opt-In Form on the top of the homepage and sidebar in post page, Fast loading, SEO Optimized, Etc. 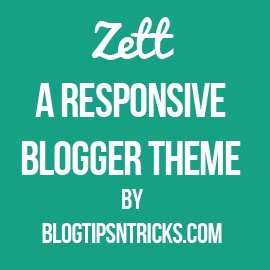 Click the Browse button and locate Zett a Responsive blogger template. you can find two results from searching Because there are two subscribe widget. After that you will see the Info, Customize it your own. Elegant ^_^ Sidebar looks little creepy. This is very nice and neat clean and elegant template +Chandeep, the template name also unique i loved it... keep posting... God Bless you for your awesome creativity... #Chandeep..
Great name for the template and it looks so clean and modern. Good job! Live demo link is not showing demo of the template ..?? Dear sir. Please give me the method of url redirection. I was tried mbt url redirection but it was not working. Please help me. I will be greatful to you. Can you be more specific. Do you want to redirect the whole domain or just a post link to another post link within the same blog? Yeah... BTNT is the best themes blog. HI! Chandeep Please add simple related post widget below post. To Remove the Opt-In Form, Search for HTML104 and remove the whole widget. Will Add the read more in the upcoming version thanks for suggestion. Nice template. By the way , there no read more button and the biggest issue is there is no search bar in the template. Please provide a search bar. I love this template! Usually when caught a template the first thing is to remove the search bar and you saved the job. Just like to know how to integrate MailChimp or Madmimi to catch forms of email. And can we make it a two coloumn style if we decrease the width of the body. Please help. This template is already a two column style, Can't get you? super cool template.... i love it! Great template, but it will more good if there are breadcumbs and related post. 1.Could you please tell me how to add social share buttons at the end of the post this template..
2. How to add Website url option for users to comment. but, why when I use the meta checker found an error? meta is not very necessary in terms of SEO? I usually use the meta http://www.metachecker.net/ to check the blog. Is it possible to make a Read More link after the post's summary? i want to change my fevicon i can't understand how to change to this template coding . hiii admin,I Liked you precious blog. Behind a popular website a responsive web design does matter. So a website should be much attractive because a user always want a better site which gives good information with best design and development. Very nice Blogger Template, i love your all template, awesome color, awesome layout and perfect SEO. buh please how can i edit the meta tags to make it more SEO optimized????? But buddy can you please add "Read More" and "Search box" button in the same template. I liked the color as well as look and feel. So want both things in the same template. I would really appreciate your help if you tell me how to edit such things.